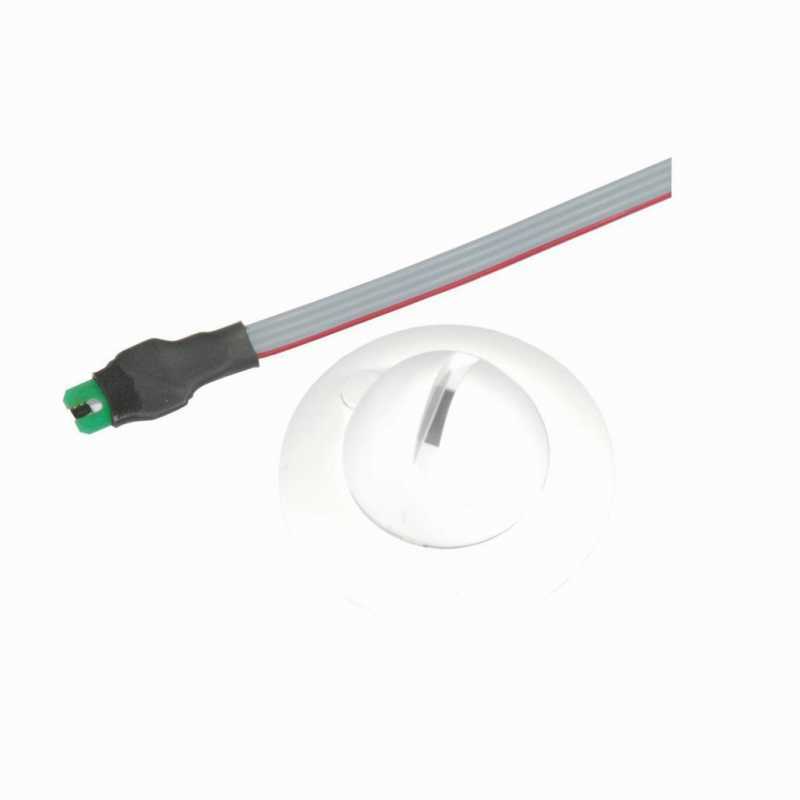 The LCN-TS is an especially small and high precision digital temperature sensor. It has its own processor and is almost completely silent in operation. The measured data is sent through the I-Port connection to an intelligent bus module. The temperature sensor is used for measuring the room temperature. By connecting further sensors to the LCN bus, an energy-saving and user-friendly single-room heating regulation system can be implemented which, among other things, includes control of the ventilation system. The LCN-TS can be operated in parallel with any other group on the I-Port connection of the LCN intelligent bus modules (UPP, UPS, UP24, SH, HU, LD). The modules allow for two continuous control circuits plus 5 switch thresholds which can also be automatically controlled. During operation, measured values can be exchanged among LCN modules and differences can be calculated.